Becoming aware of symptoms of autism in your child is the first step toward getting effective treatment and helping them live up to their fullest potential. There is much information on the internet about what parents should and should not be doing and navigating this content feel overwhelming. In efforts to provide caregivers with relevant information, here are a few resources that can help you get on the right track. Importantly, getting an autism diagnosis will help you identify your child’s strengths and deficits and inform your decisions about what interventions will be the most effective. An official diagnosis by a trained professional creates an opportunity for you to get the services you need. Currently, 42 states have mandates that require insurance to cover ABA services. [link to ABA services]. In our article about how an autism diagnosis helps you to get necessary services, we review relevant details on obtaining a diagnosis. Here is more information on that topic. When it comes to obtaining services, getting a diagnosis has its benefits, but how does one go about this? According to the CDC, and other reliable resources, autism can be diagnosed as early as 18 months and sometimes earlier. By the age of 2, a diagnosis by a trained professional can be considered very reliable. The CDC suggests that children should be screened for developmental delays during regular visits to the doctor at 9 months, 18 months and again at 24 or 30 months. We recommend going to a medical professional who has background and training in making autism diagnoses. Dr. Pamela Compart is a pediatrician who is trained in childhood development and behavior. Dr. Compart said that “If your child has a serious cardiac issue, your primary care physician will refer you to a cardiologist.” The same is true for autism. Keep in mind that your family doctor, although she or he may be excellent, may not have knowledge of autism or developmental delays in children. For this reason, it is important to find a doctor, psychiatrist or other medical professionals who have these specific qualifications. Click here to read more about screening and diagnosis from the CDC. If your state is one of the 42 that mandate insurance to cover Autism treatment, then you will have more options for funding ABA services. Animate Behavior is based in California so we are most versed in our state’s systems. In California, insurance is mandated to cover ABA services. Other options include funding through one of the local 21 regional centers or school district. Read our article on 3 ways to get funding for ABA services to learn more! These are a few sources of information on how to get started if you suspect your child may have autism or if you recently got a new diagnosis. Also, here are several more resources that you may find helpful. Frequently asked questions about autism. Click here. How is autism diagnosed? Click here. The first 100 day kit from Autism Speaks. Click here. Autism-related resources for parents, teachers, and caregivers. Click here. 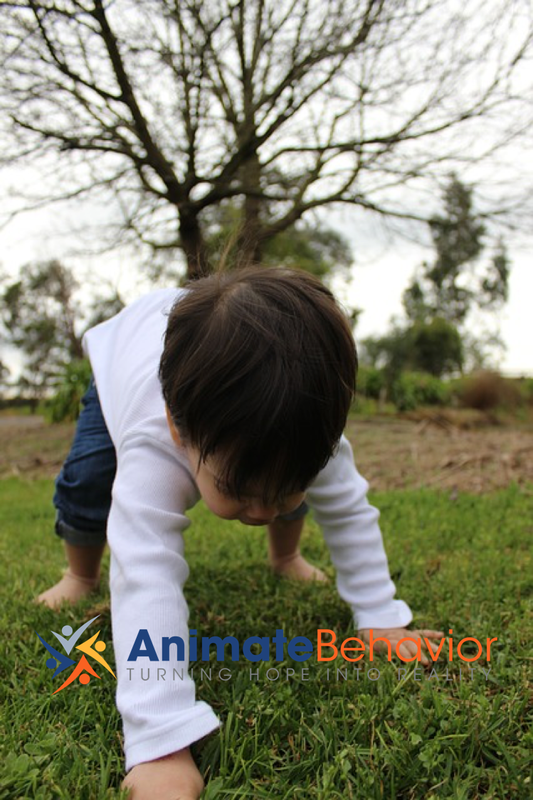 The Animate Behavior Blog, which is frequently updated with relevant information about autism and autism intervention. Click here.